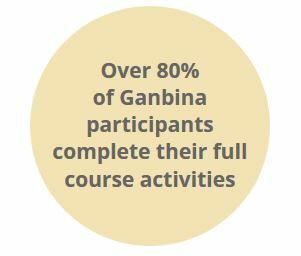 Ganbina is Australia’s most successful Indigenous school to work transition program. Thier approach is unique. They mentor young Aboriginal and Torres Strait Islander people, from the ages of six to 25 years old, to make sure they gain the education, skills and life experiences they need to unlock their full potential. Their program includes learning support, life skills training, cultural appreciation, career guidance and financial assistance. How does Ganbina do it? Ganbina’s one on one mentoring program is called ‘JOBS4U2.’ It is delivered by a team of trained mentors who support Indigenous children throughout their crucial formative years from six to 25 years old. Establishing relationships with young children and their families, private tuition & coaching. Helping children understand why education is important, exploring different career options, work experience opportunities, industry tours. Consolidating career choices, traineeships or tertiary training, networking with potential employers. Securing jobs of choice, further training for career advancement, long term career planning. Leadership training, personal development coaching, professional driving tuition, Indigenous culture education. Primary, secondary & tertiary scholarships, work-related expense grants. Annual awards recognising individual achievements. How could your donation help? $50 – Helps a young child improve their literacy and numeracy skills. $75 – Helps a teenager learn how to drive safely. $150 – Helps a young person learn leadership skills. $200 – Helps a student with uniforms, books & excursions. Donations of any amount you desire can be made by clicking here. Thank you for your kindness.